The setup we will use for four games this weekend. Duncan ran a… | H.A.W.K.S. The setup we will use for four games this weekend. Duncan ran a 1917 WWI game Friday night. 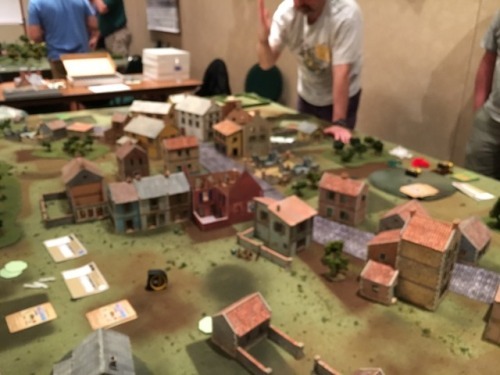 I am running a France 1940 game Saturday morning and a France 1944 game Saturday afternoon. Don will run a late war game Saturday evening.